With our Library Science MA/MSc you can develop the skills and understanding to initiate, work with and develop modern collection based information services. This course is for students with a first degree or equivalent in any discipline, who would like to work in a library, or similar collection-orientated organisation. It is also suitable for anyone wishing to update their knowledge and skills, in order to progress a career based around collections and services within galleries, libraries, museums and archives. Library Science is a broad, interdisciplinary subject, the principles and practice of which underpin today’s information society. It appeals to students with an eye for detail, an interest in the organisation, technologies, and communication of information, and in understanding the organisational and wider social impacts of information policy, access and provision. 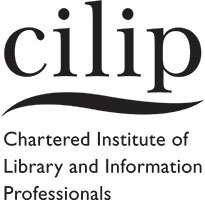 City’s Library Science course is approved by the Chartered Institute of Library and Information Professionals (CILIP). CILIP accredited courses are recognised by the American Library Association (ALA) and The Australian Library and Information Association, which means that our graduates are qualified to apply for posts requiring professional level qualifications in the US, Canada, Australia and New Zealand. Internships are not a part of this course, but students who wish to are usually able to obtain work experience (paid or voluntary), or to work with external organisations in completing assignments or carrying out a dissertation project. Details of opportunities are posted on our Moodle forum. City has recently undergone a significant level of refurbishment, so that course participants can enjoy state of the art classrooms and facilities. We work in close connection with our colleagues at City Library, who offer excellent support and advice to our students, in addition to contributing to our courses. Follow @cityunilibrary and @cityunilibresearchers on Twitter. You will have access to our state-of-the-art mentoring service. #citylis student Saidah Gilbert recently took part in the professional mentoring scheme. At City, there are many programmes that help and advise students in their chosen discipline. The Professional Mentoring Scheme was one of them. City’s online learning environment, Moodle, contains resources to support face-to-face lectures, including lecture notes, further reading, web-based media resources and an interactive discussion forum. On successful completion of the course’s eight taught modules, you will undertake your dissertation. This is an original piece of research conducted with academic supervision, but largely independently. The dissertation allows you to demonstrate your ability to think and work independently, to be aware of and to comprehend current issues within the discipline and practice, to initiate ways of investigating and solving current problems or questions, and to deliver results, solutions and recommendations on time. The individual project is a substantial task. It is your opportunity to develop a research-related topic under the supervision of an academic member of staff. This is where you can apply what you have learnt to a real-world problem or to develop further, contemporary conceptual theory in library science. Communication and networking are an integral part of our Library Science masters course, and in preparation for professional practice, you will be expected to engage with blogs, Twitter and other relevant communications media as part of your studies. Face-to-face participation in student and new professional forums including research seminars, workshops and conferences is actively promoted. You will be encouraged to present your work (assignments, dissertation) to the wider LIS community for discussion and development. The MA/MSc in Library Science is offered as a one year full-time course, or two year part-time course. On successful completion of the course, you can choose between the award of MA or of MSc. This is usually based on the arts or science content of the work undertaken for the degree, and/or your career aspirations. The course structure and modules are the same for either award. The difference occurs in the focus of the assignments and the dissertation. Each of the modules counts for 15 credits, and requires approximately 150 hours work, of which 30 hours are face-to-face instruction (this may be lectures, seminars, group work, discussion or practical work), and 120 hours are self-directed study. On successful completion of eight taught modules, students can progress to the dissertation. The dissertation is worth 60 credits, and takes around 400 hours. This is an original piece of research conducted with academic supervision, but largely independently. Provides the technical background required to store, describe, structure, manage and share information effectively. Topics include: introduction to computing, internet and web, Web 2.0 technologies (blogs, wikis, etc. ), metadata, semantic web, database systems and searching, collection and analysis of information, information architecture and meaning. Gives an understanding of the principles and practice of the organisation of information and knowledge. Topics covered include metadata, cataloguing and resource description, classification and taxonomy, subject headings and thesauri, indexing and abstracting, and construction of controlled vocabularies. Introduces and exemplifies the principles of digital libraries, in terms of architecture , functions and services, selection, design (UX), search and discovery, digitisation and collection management, archives and preservation, access, standards, and socio-political implications. Introduces the principles of the management of information resources of diverse kinds in a variety of environments, and the strategies and policies which make this possible. Emphasis is on the specific issues of the disciplines which manage information and documents: information resource management, knowledge management, records management and archiving, collection management, etc. Provides knowledge and skills which are relevant in the academic environment, in the workplace and for lifelong learning. Topics covered include: nature of research and evaluation, research methods, including surveys, system and service evaluation, system design, and desk research, data analysis and presentation, literature analysis, written and oral communication, ethical issues and project management. Gives a broad understanding of the ways in which the publication of recorded information is changing, and the impact which this will have on publishers, libraries, other information providers and society in general. These issues are related within a framework of forces for changes: technical, economic, social and political. You can choose one module from the following. Provides an understanding of information provision in a variety of domains, including academic subjects, professional disciplines and every day and leisure topics; gives an insight into subject-specific information work. Topics include information in law, business, healthcare, and the arts, in academic subject areas such as history, mathematics, chemistry and languages, for every day and general reference and for novel areas such as fashion, fandom, and creativity. The information law and policy module covers a wide range of legal issues relevant to the information profession – such as intellectual property, data protection and privacy, cybercrime and computer misuse, freedom of information, libel, and the re-use of public sector information. Allows you to undertake individual in-depth study of a topic which is not fully covered by other modules, and which is appropriate for independent literature-based research. Topics are chosen by agreement between student and supervisor. The module examines theoretical, ideological and practical issues surrounding child and adolescent library and information services, enabling critical engagement in order to support you to deliver high quality information services for children and adolescents. MSc/MA Library Science graduates have an excellent record of finding suitable jobs and going on to successful careers, most commonly in public, academic or school libraries, consultancies, special/heritage libraries, information services and publishing. The Library Science postgraduate course is also an excellent preparation for further study and research. You can learn more about further study and research in the LIS field by visiting the Department of Library and Information Science page and our CityLIS blog.